Beautiful weather, diverse terrain, and four distinct mountain ranges make Tucson, Arizona a hiker's paradise. 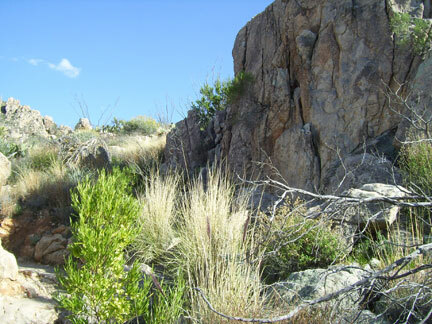 Hiking around Tucson is easy since so many hiking trails are located just outside the Tucson city limits. Anytime of the year is a good time to hike Tucson mountains and surounding areas. Hiking Tucson does require some sensible rules when out in the desert. EMOL.org Book Profile: "Animal Tracks of Arizona and New Mexico"
Check out what's on sale at Camping World! Hundreds of Items with huge online savings. Click here to shop! Bass Pro Shops is an outdoor retail leader in hunting, camping, boating, and outdoor clothing, in addition to fishing. © 1998-2011 EMOL.org / Tucson Entertainment Magazine On Line. All rights reserved. This news fee is from the Southern Arizona Hiking Club about special events, weather announcements and other news. Besides the right hiking gear, there are several good books about hiking around Tucson that will help to make your hike more enjoyable. Betty Leavengood (Author). Hiking guide to the Tucson, Rincon, Santa Catalina, and Santa Rita Mountains completely revised. Betty Leavengood's third edition of her bestselling Tucson Hiking Guide offers new routes and updated access information, detailed maps, and clear descriptions to area trailheads. Includes: 37 hikes rated easy to difficult by mountain range; revised information on precautions for desert hiking; historical notes, photographs, and anecdotes; and detailed maps and descriptions with elevation/distance. Paperback: 212 pages. Publisher: Pruett Publishing; 3rd edition (September 1, 2004). Look inside! Best Easy Day Hikes Tucson includes concise descriptions and detailed maps for twenty easy-to-follow hikes in and around Tucson, Arizona. Discover a region of diverse scenery and natural splendors including a beautiful cactus forest; the Sendero Esperanza Trail, a classic example of the Sonoran Desert’s lush vegetation; and the famous Seven Falls, a series of seasonal cascades in Bear Canyon. Mile-by-mile directions and clear trail maps. Trail Finder for best hikes with children, dogs, or great views. GPS coordinates. Paperback: 96 pages. Publisher: Falcon; First edition (October 14, 2009).